ut in the south, or at least where i’m from (because there is a debate as to whether or not New Orleans is considered “the south”) there is always a collection of cold brewed coffees next to the milk in the refrigerated aisle. We always bought Cool Brew, but these days there are a lot more fancy brands popping up here and there that you can find at Whole Foods etc. Maybe it’s because it doesn’t get that cold where I’m from, so iced coffee is a year round thing? Who knows. And maybe they ARE there, and I’m just not looking in the right places. 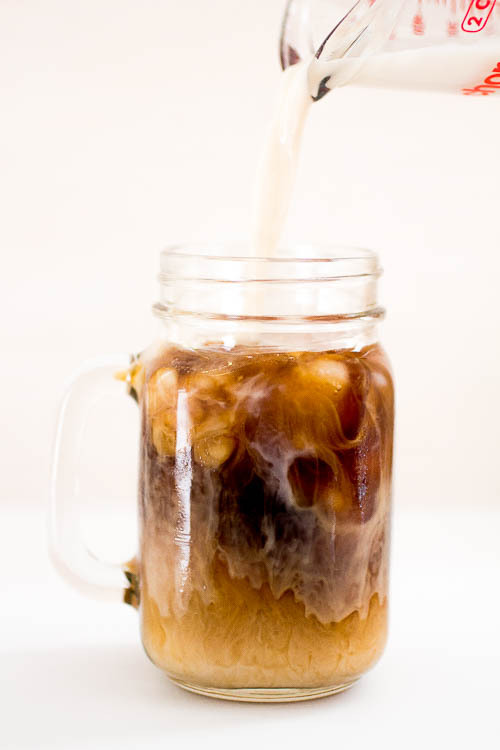 The beauty of cold brewed coffee is that it is seriously convenient. 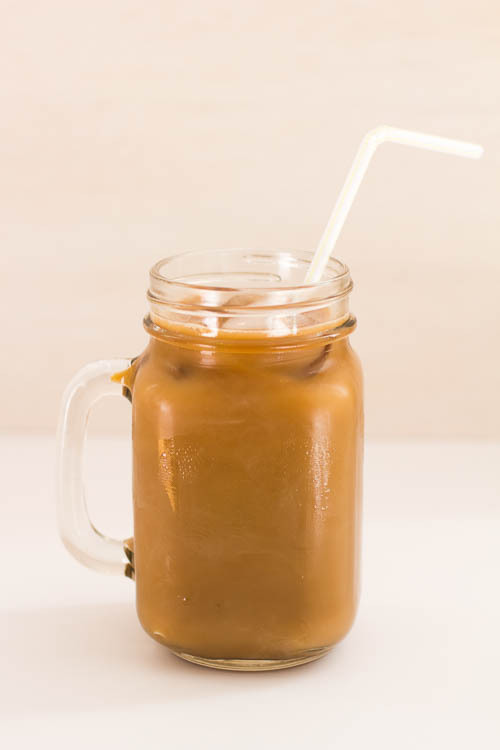 No, you don’t get that delicious smell of freshly brewed coffee in the morning, but it’s so easy to whip together, that you could have a delicious glass of ice coffee ready to go in just seconds. Especially if you have a tiny apartment, like us, our counter space is precious. We don’t have room for a coffee maker of any size, and to have to take one down from a shelf every morning is just cumbersome. And don’t even get me started on buying coffee from a coffee shop. Especially since I have had barista experience myself, the profit margins on iced coffee are outrageous. The fact that iced coffee also costs more than regular coffee (even though you are getting less coffee) is something I will never understand, either. All the more reason to make it at home yourself, I would say. 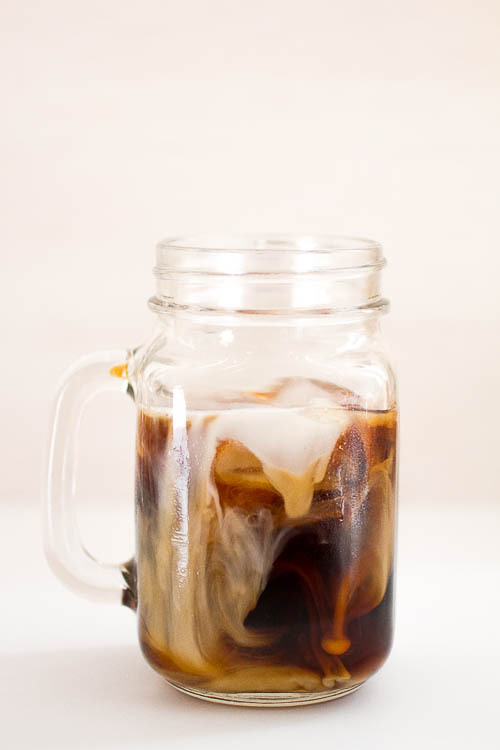 Save money and time in the morning by making your own cold brewed coffee. I like to drink mine with low calorie vanilla almond milk and a pinch of cinnamon. This recipe can easily be scaled according to your preferences. Add more or less water depending on how strong you like your coffee. In a large pitcher, combined the grounds, water and vanilla. Stir well and let sit for at least 24 hours. Pour the coffee through a fine strainer lined with a thin cloth, paper napkins or a coffee filter. 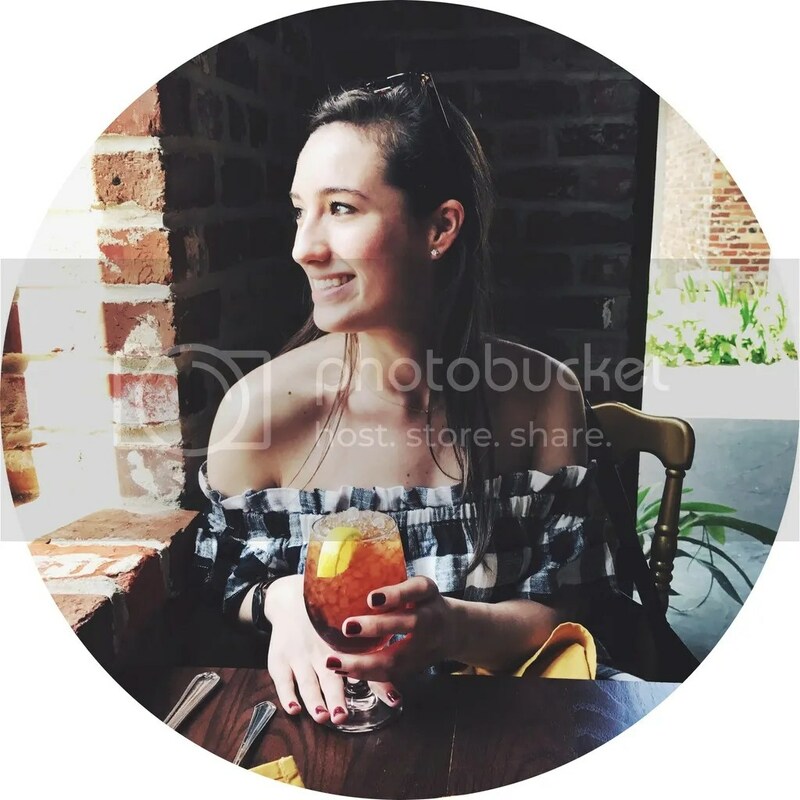 Cannot get over how awesome your pictures are!!! You go girl 🙂 Don’t forget us little people!